There's a mobile payment war on right now. Big stores like CVS and Walmart are not supporting Apple Pay or Google Wallet, leaving their customers with no good mobile payment option. This may change soon, though. It's not because they don't have the technology. It's because they're part of a payment consortium called MCX, and they've signed exclusivity agreements with CurrentC, MCX's payment system. There is a light at the end of all this tunnel-vision: When Recode's Walt Mossberg asked MCX CEO Dekkers Davidson about the exclusivity rule, Davidson said it would last "months, not years." 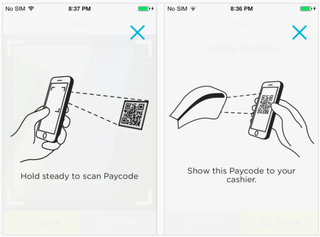 One of the CurrentC retailers, Meijer, is already rebelling and letting people use Apple Pay, probably because Meijer's execs are demonstrating some midwestern common sense and not limiting the ways they can take money from their customers. Once the exclusivity agreements end, hopefully CVS and Walmart will follow (logical) suit. Davidson said the exclusivity agreements existed to give CurrentC "breathing room" as it developed, and that rivalries with other payment systems would be "compelling." So, unless Davidson is spitting utter nonsense to Mossberg, it looks like CurrentC's exclusivity agreements are more about making sure customers don't cotton to rival payment options like Apple Pay before CurrentC debuts. After all, it'd be way harder to get people to use the CurrentC mobile payment system if they already like a competing phone-pay option.